This is an On-line Event. Please join from your computer, tablet or smartphone. 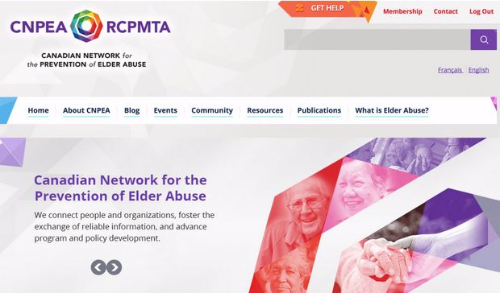 Learn more about Canada’s first National Knowledge Sharing Hub developed by the Canadian Network for the Prevention of Elder Abuse (CNPEA). The hour long presentation will include: a brief introduction to the Network, its Mission, an overview of the many interactive features of the website and the different ways YOU can get involved in the Knowledge Sharing Project. Register Now! Individuals participating on the webinar, either by phone or on-line, are required to register. PowerPoint slides available in both official languages.